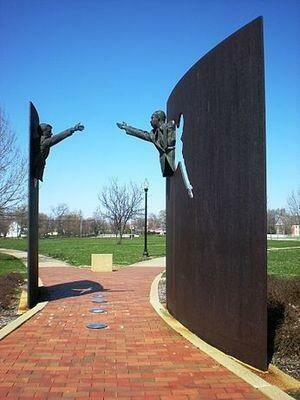 “Landmark for Peace” is a pair of statues at the Martin Luther King Jr. Memorial Park in Indianapolis, Indiana. The statues were made from metal salvaged from guns turned into the local police department as part of a firearms amnesty program. In her latest book for youth, Spokane author Claire Rudolph Murphy details how Robert Kennedy and Martin Luther King Jr. went from adversaries to allies during a time when America was struggling with the civil rights movement. 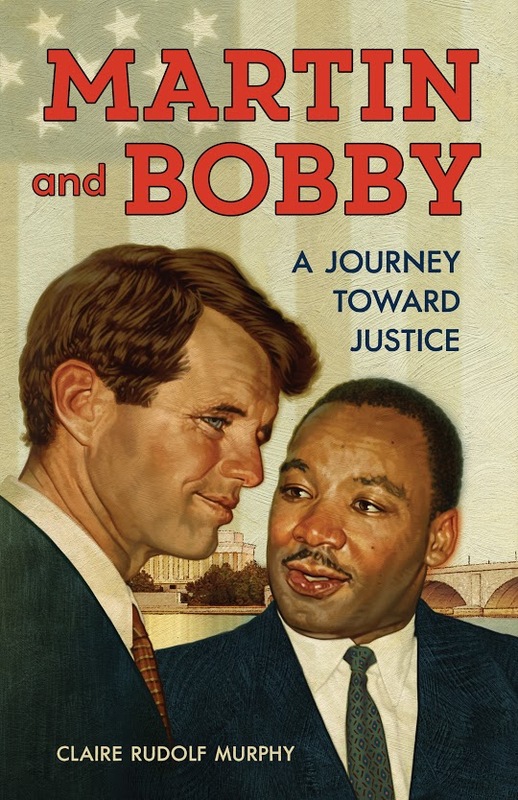 Murphy will speak about her book “Martin and Bobby: A Journey Toward Justice,” Monday at BookPeople of Moscow in honor of Martin Luther King Jr., Day and Idaho Human Rights Day. The book, intended for readers ages 10 and older, is peppered with compelling historical photographs that bring the 1960s to life for young readers. The hour-long program will feature a presentation and reading from the book focusing on the relationship and inspirational leadership of King and Kennedy and the way they engaged young Americans during a time of upheaval. The second half of the program will feature a panel of young leaders from Moscow High School who will discuss the legacy of King and Kennedy, what leadership means to them, and what they wish to see from national officials and those involved in protest movements today. Murphy, who enjoys music and the outdoors, dubs herself, “a daughter of the West.” Her writing career began in Alaska, where she lived for 24 years while working as a teacher in remote Yupik Eskimo villages. Growing up in Spokane, she had little experience with diverse cultures until she left for college in California. “I had some experience with diversity from my time in college, but it was my time teaching in Alaska that really opened my eyes,” Murphy said. It was that awakening that encouraged her to write about under-represented groups. She now has 18 published books, including award-winning fiction and nonfiction books for children and young adults. “Martin and Bobby: A Journey Toward Justice” is her most recent book and follows two men who came from radically different backgrounds, yet found their lives entwined during the social upheaval of the 1960s. King grew up in the segregated South and became a Southern Baptist minister dedicated to advancing racial equality through nonviolence. In stark contrast, Kennedy was a privileged child born into family that could easily be characterized as a political dynasty and was eager to make his mark as a young senator. While each man took a different path, their passion for fighting poverty and racism through nonviolent resistance and hope for socioeconomic equality brought them together repeatedly as they entered the final years of their lives. On April 4, 1968, King was assassinated. That night, Kennedy, a newly declared presidential candidate, stood atop a flatbed truck in a poor, predominantly black neighborhood in Indianapolis, Ind., and delivered a touching speech about his own experience with loss. He was assassinated two months later. In 1995 a pair of bronze statues titled the “Landmark for Peace” were dedicated at the Martin Luther King Jr. Memorial Park near where Kennedy addressed the crowd that night. The artist depicted King and Kennedy reaching for one another, striving for peace. The statues were made from metal salvaged from guns turned into the local police department as part of a firearms amnesty program. 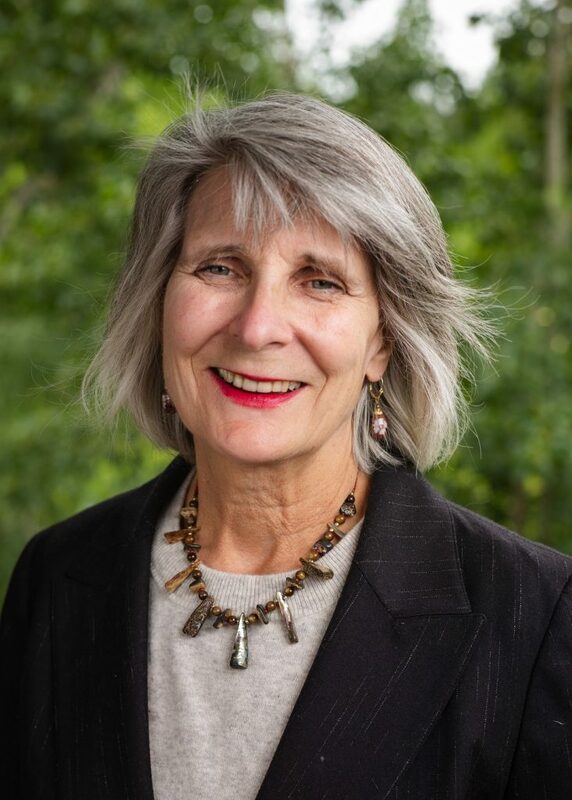 In addition to her writing, Murphy mentors new authors and is active in the Inland Northwest Chapter of the Society of Children’s Book Writers, which hopes to begin holding events on the Palouse in 2019. The panel discussion following Murphy’s presentation features three students active in civil rights issues. 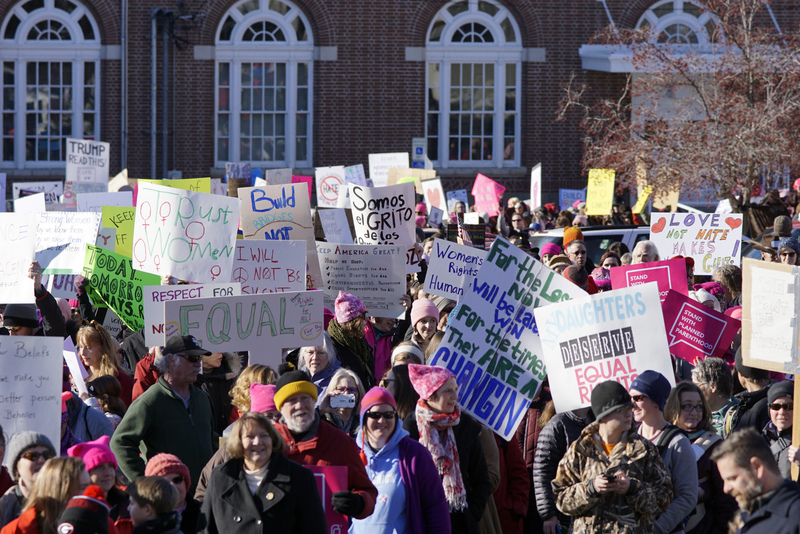 Emma Seckington founded Students Advocating for Gender Equality at Moscow High School and is passionate about LGBTQ issues. Nicole Xiao is a freshman whose parents are of Chinese heritage, which gives her insight into civil rights issues. Defne Yuksel is the vice president of the Gritman Medical Center Junior Volunteer program and serves as the Moscow High School Class of 2022 Student Body president. Last year Yuksel helped organize the Moscow Middle School gun control walkout after the Parkland school shooting. The panel will be moderated by Quentin Berkompas, deputy director of legislative affairs for the Associated Students of Washington State University. OF NOTE: Murphy will speak for about 30 minutes and will be followed by a panel of Moscow High School students discussing what human rights means to them today.